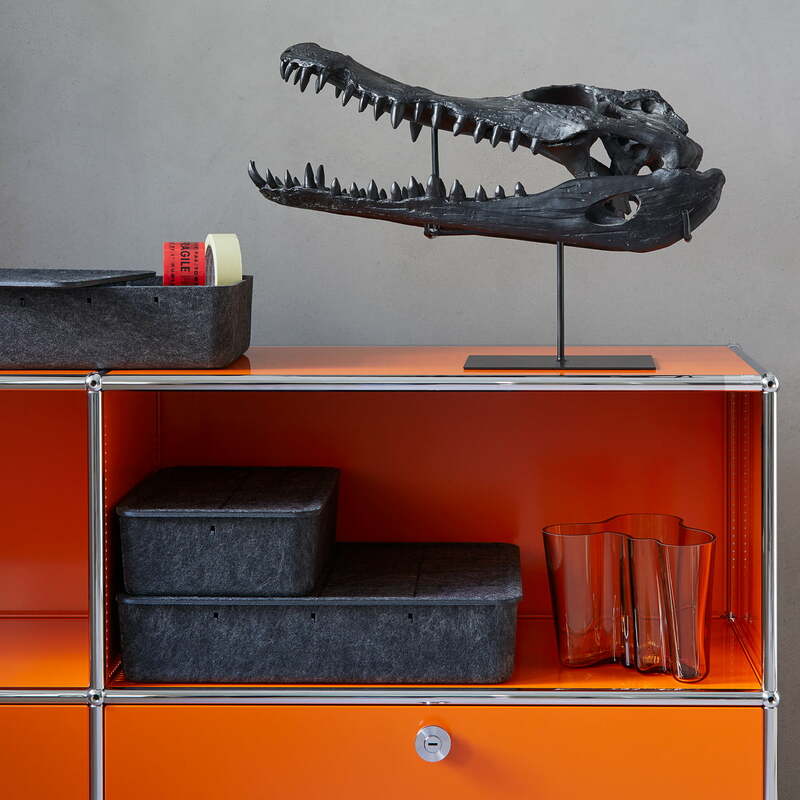 The Inox Box by USM Haller is the perfect addition to all modular furniture by the Swiss manufacturer. 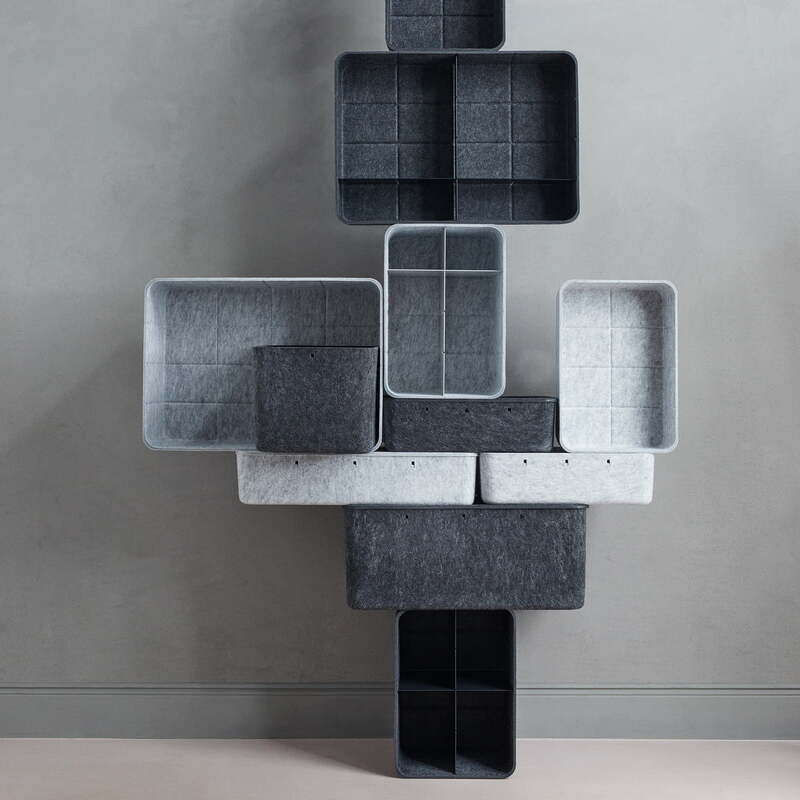 While the USM furniture is perfect to stow away files, books and ornaments, the Inos box provides a safe space for smaller items. 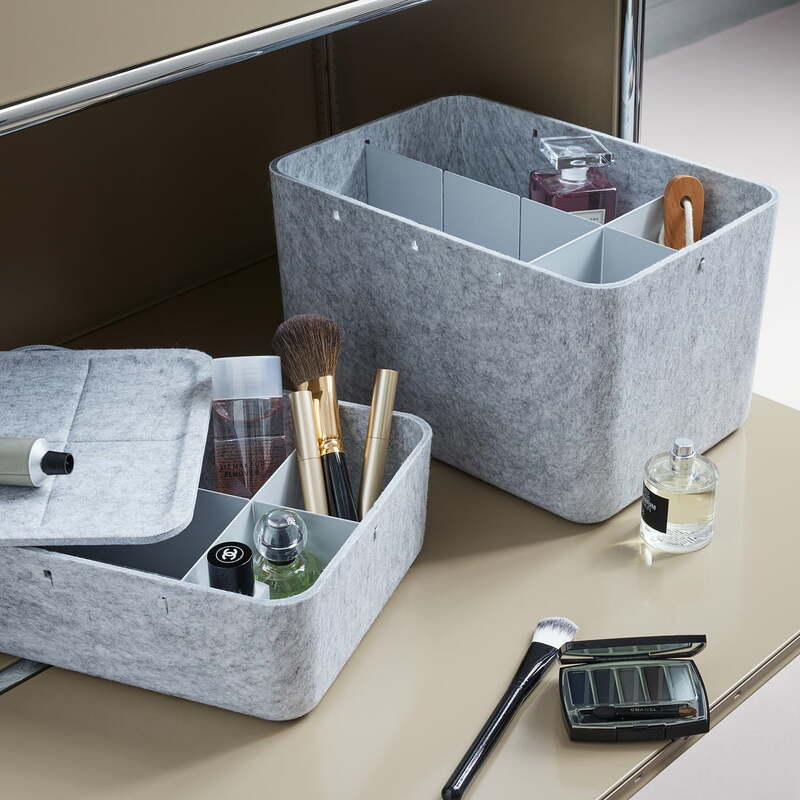 Available in various sizes, all tuned to the dimensions of USM's modular systems, Inos can discreetly store small items such as jewellery, memories, toys, office supplies, make-up brushes, tools, crayons, and more. Each item has as its place and is securely closed with a lid. 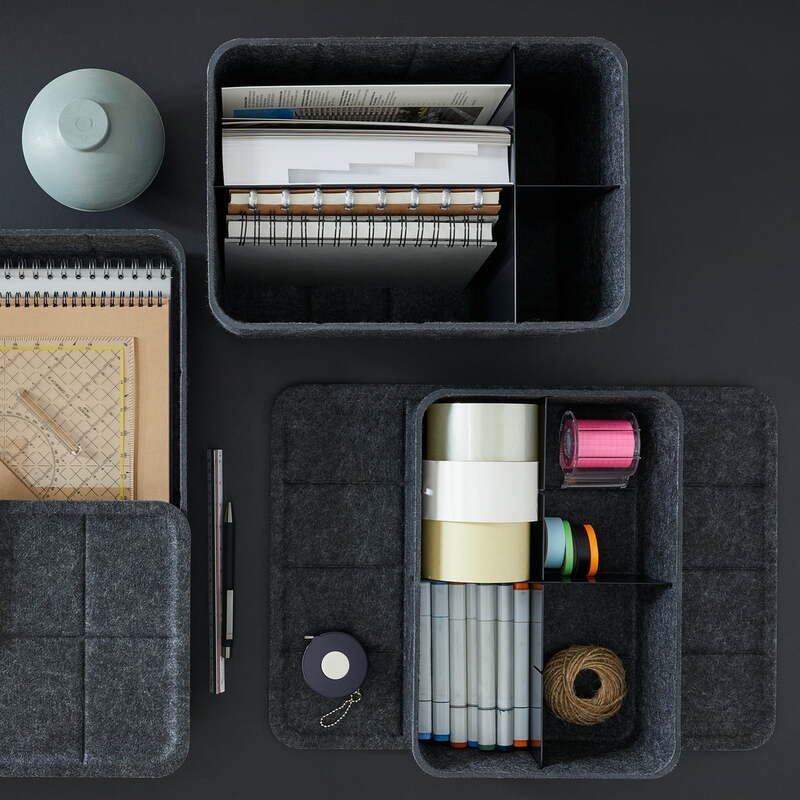 Inos consists of a box and a lid made of polyester fleece. Available in various sizes and colours, the boxes look great on any shelf, desk or side table and can be stacked to a makeshift shelf. 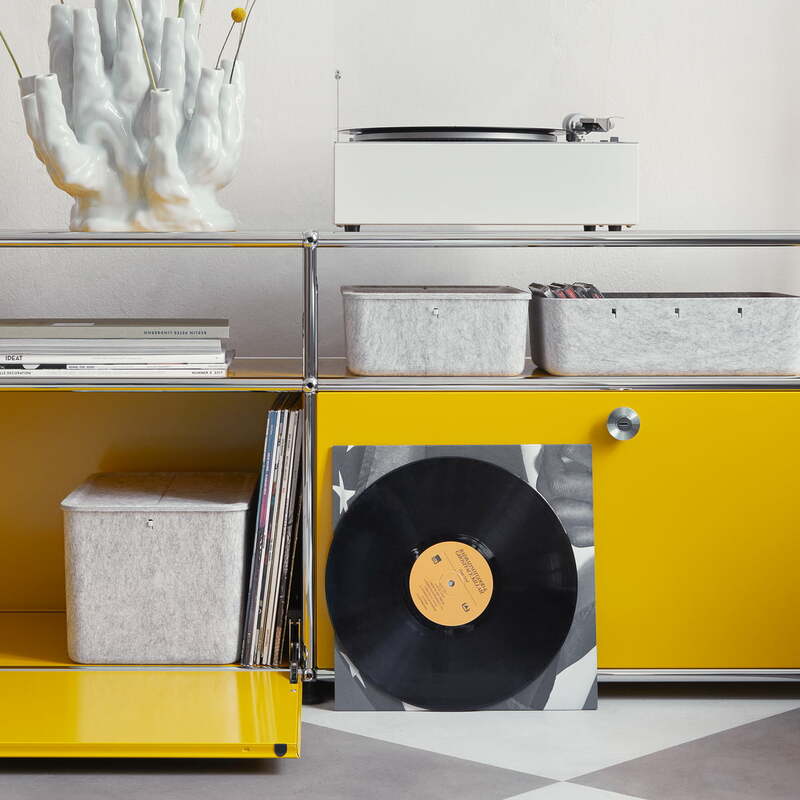 The Inos boxes match USM shelves and sideboards in different sizes and colours. 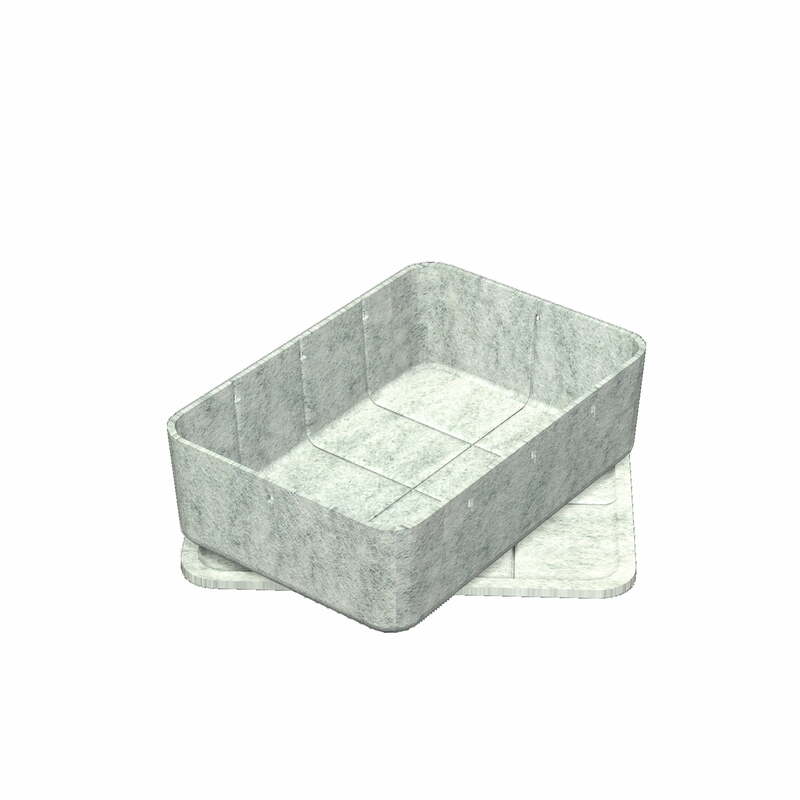 Isolated product image of the USM Haller - Inos Box with Tray, 22.3 x 32.2 cm, H 9,5 cm / light grey. Inos consists of a box and a lid made of polyester fleece. 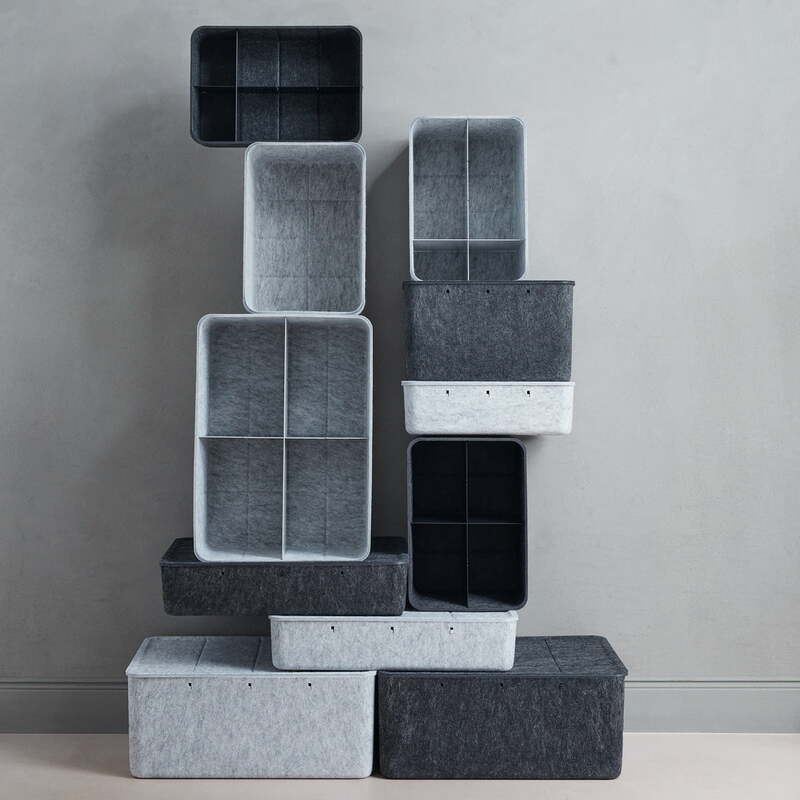 Lifestyle product image of the Inos Boxes by USM Haller. 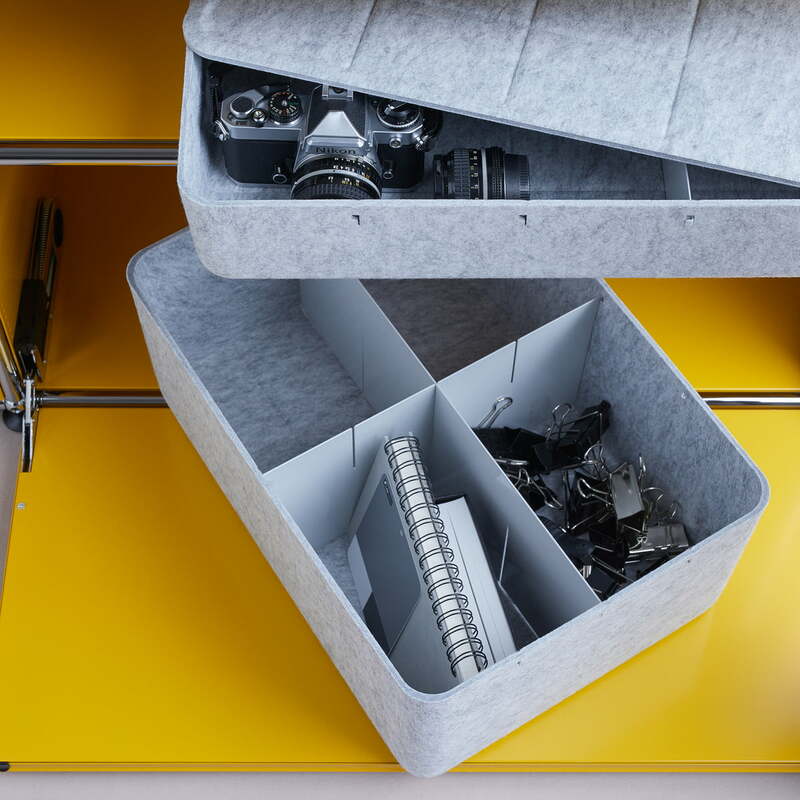 The Inox Box by USM Haller is the perfect addition to all modular furniture by the Swiss manufacturer. Lifestyle product image of the Inos Boxes by USM Haller. Available in various sizes and colours, the boxes look great on any shelf, desk or side table and can be stacked to a makeshift shelf. Lifestyle and group product image of the Inos Boxes by USM Haller. Every smallest thing has its place in the Inos boxes that are securely closed with a lid. 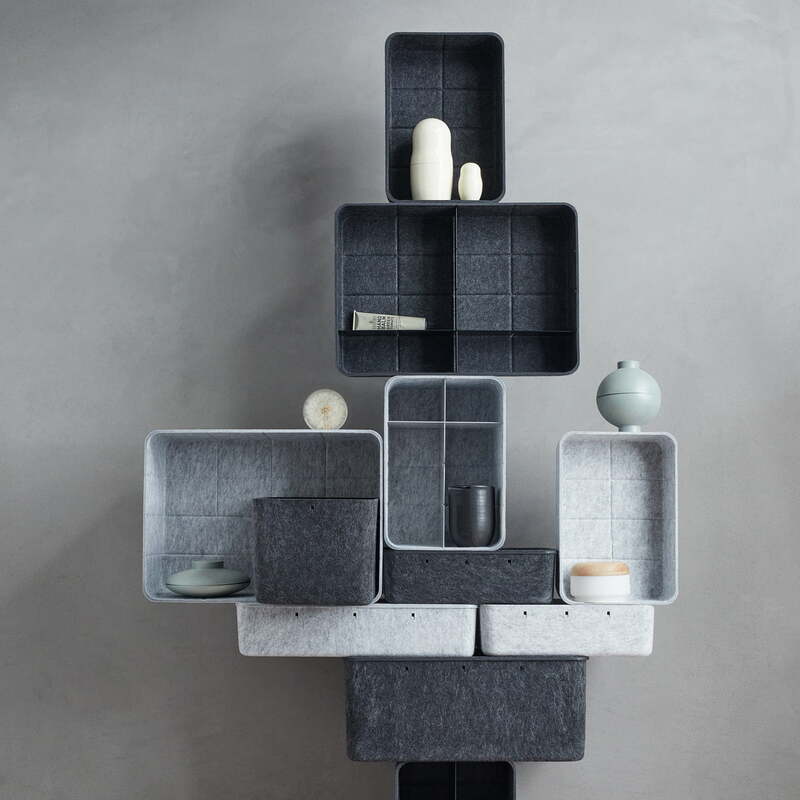 Lifestyle product image of the Inos Boxes by USM Haller. 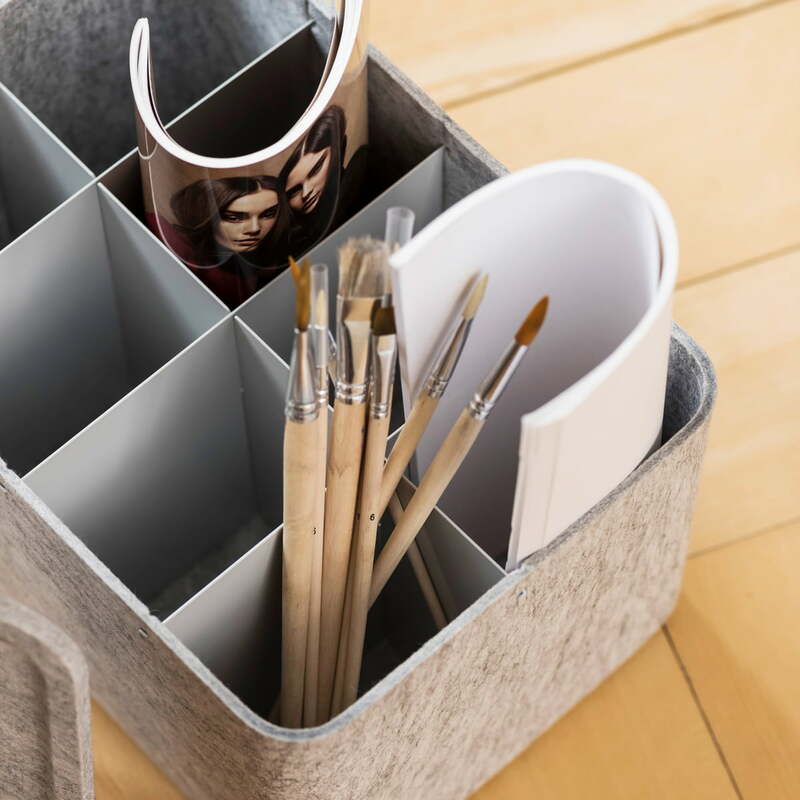 On the desk by USM, the Inos box with lid becomes a practical storage solution for pens and co. 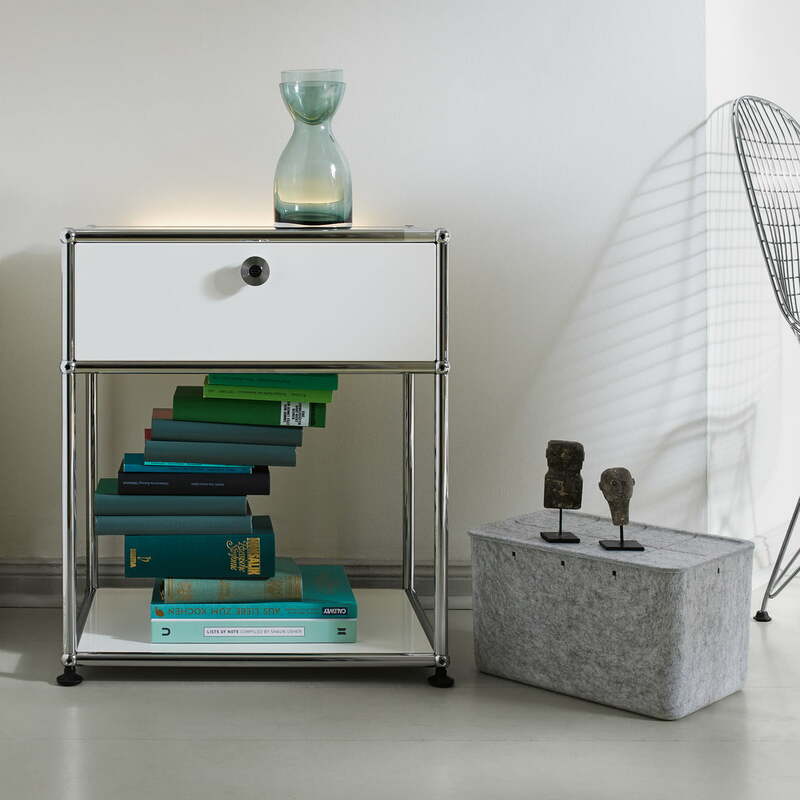 The trolley by USM Haller is a classic among the mobile storage facilities. 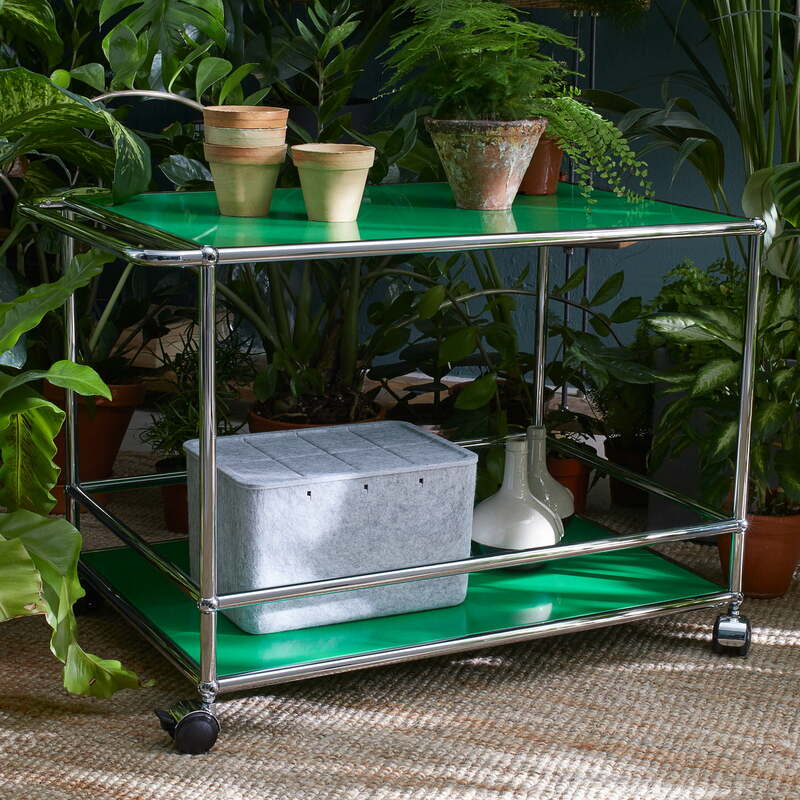 Whether in the living room, kitchen or dining room, the trolley on wheels has enough space on its two levels for dishes, books, cups, glasses, and much more. Lifestyle product image of the USM Haller - Inos Box. 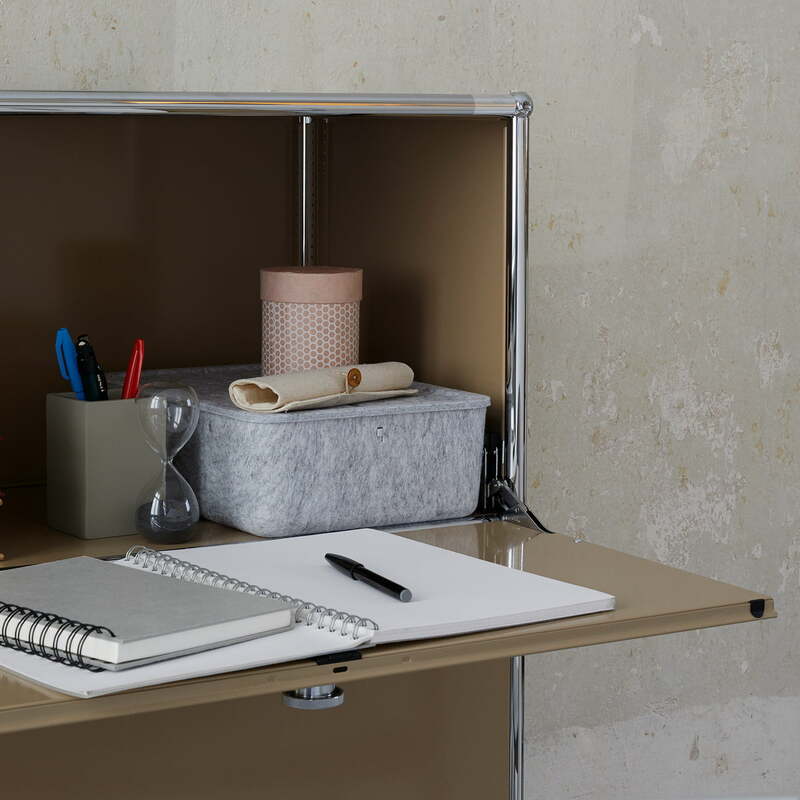 The Inos box can use be used in cupboards, but can also be used alone on the desk to store various office supplies.